The Kentucky State Data Center (KSDC) is the state’s lead agency in the U.S. Census Bureau’s State Data Center Program and Kentucky’s official clearinghouse for Census data. 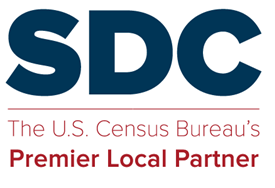 The State Data Center program was initiated by the U.S. Census Bureau in 1978 in order to facilitate the dissemination of Census data to data users across the state and to provide a vehicle for user feedback to the Census Bureau. The Kentucky State Data Center is housed in the Department of Urban and Public Affairs in the College of Arts and Sciences at the University of Louisville. KSDC’s mission is to empower data users with comprehensive, accurate, and timely information. In Summer 2017, in partnership with the Metro United Way, KSDC produced data profiles for neighborhood areas within Louisville Metro. 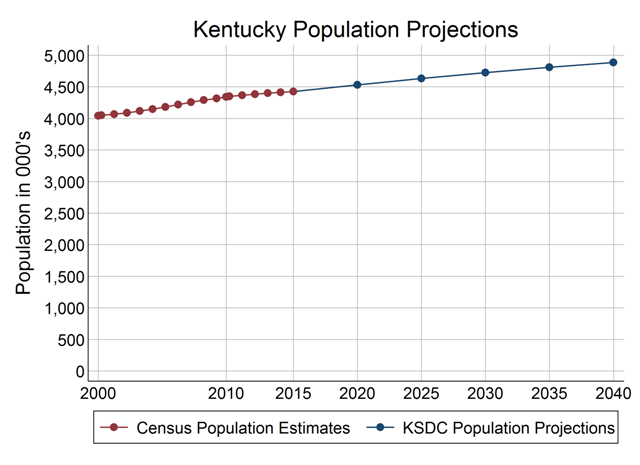 KSDC produces forecasts of the population in future time periods for Kentucky, Area Development Districts, and Counties. Find frequently requested statistics for states, counties, and cities with population 5,000 or more. Are you looking for data to help you start or grow a business or understand the business landscape for a region?